Home Tags Articles tagged with "beef"
When Bass Aja married Anna Groseta in 2009, it was a binding of two ranching families with near iconic status among Arizona cattlemen. They were from farm people who went back generations, even to the Old World – the Ajas from Spain and the Grosetas from Croatia. Both families started in mutton and then shifted to beef. Now in the Maricopa area, Bass and Anna have turned into beef entrepreneurs, starting the 9F Cattle Company. The focus of the business is delivering fresh beef straight from the ranch. That is a tradition that is being reimagined for the 21st century with the 9F Cattle Company. Direct-from-the-ranch beef sales is something Anna always wanted to try. Cattle the Ajas raise on Groseta and Aja ranches are an Angus cross called Balancer and mostly grass-fed. 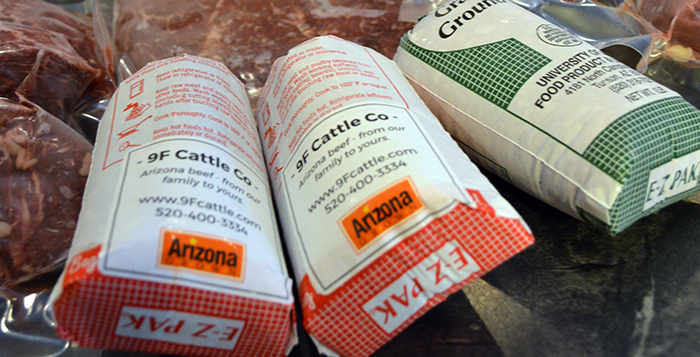 They primarily use a butcher in Tucson connected to the University of Arizona food laboratory. The beef is dry-aged up to 21 days and then frozen for delivery. The Ajas also have beef on hand, renting commercial freezer space in Mesa. Customers can buy 10 pounds of ground beef at $6 per pound or a 400-pound full beef with everything at $9 per pound. Delivery is free to customers in Maricopa or to anyone who orders 300 pounds or more. Anna said she would eventually like to sell direct to restaurants. “If I can provide the connection for someone to know us and know our family and know where it was raised, whether it was south of Buckeye or in Cottonwood, and what it ate and the kind of life that it lived, I really enjoy that,” Anna said. With parental support for the venture, Anna Aja set up a website and got the business moving last year when she was in the late stages of pregnancy with her third child. While on maternity leave, she took newborn Perry with her as she picked up beef orders in Tucson and drove them to customers. Much of the marketing has been on social media because she has not had time to work farmer’s markets yet. So far, her time and resources for getting the word out have been limited, but she wants to build it beyond a home-based hobby. One-on-one conversations have been very fruitful, as well. She met Kristen Lee of Phoenix at a communal summer-table dinner. “We started talking about our passion for food and how much I enjoy knowing where my food comes from,” Lee said. After learning about the Ajas’ 9F beef, which sounded exactly like what she was looking for, Lee put in an order. She said she likes knowing the cattle are humanely raised with no hormones or additives. She also likes helping out a small business. Courtny Tyler was one of several gym-mates in Maricopa who became Anna Aja customers. 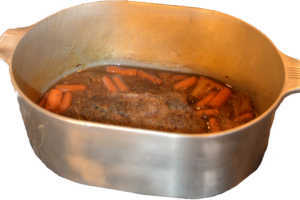 She praised every cut in the 10-15-pound variety pack, from ground beef to tenderloin. “We’ll definitely be ordering again. I have a family of five, so it doesn’t last that long,” she said. The Ajas also are a family of five. Bassie is 5, daughter Andy is 3 and Perry is 1. They are growing up rural like their parents did. The Ajas spent early May moving into their new home between Maricopa and Stanfield. Her parents, Andy and Mary Beth Groseta, own the W Dart Ranch in Yavapai County. Anna is a fourth-generation ranch girl and still has cattle on the W Dart. Bass (Basilio) Aja’s great-grandparents came to the United States as sheepherders, working and saving to own their own ranches. “So I grew up mostly in sheep and transitioned to ranches and cattle,” he said. His mother’s family settled Perry Mesa, which bears their name. Bass grew up in Buckeye. The family ranch was south of Wickenburg and another ranch was near Joseph City. 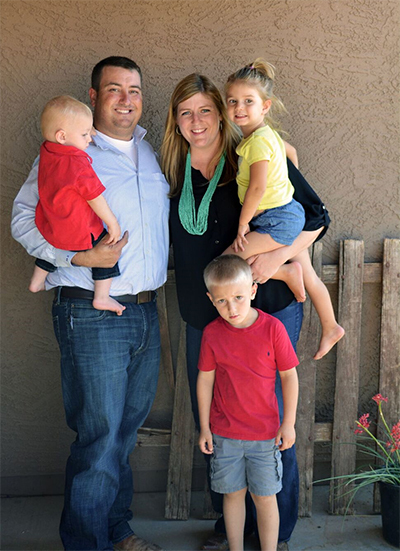 Bass and Anna, both 32, first met at an Arizona Junior Livestock Association gathering during an Arizona Cattle Growers’ Association Convention when they were 15. That was little more than an introduction because they lived so far apart, but they discovered each other again while attending the University of Arizona. Her friend was his roommate, who reintroduced them. After marrying, they lived in Wellton, near Yuma, where Bass ran a feed yard. Anna worked for the Arizona Beef Council. Now Bass runs the Pinal Feeding Company feed yard, and Anna works for the Arizona Cattlegrowers Association, at least until their oldest son Bass IV starts kindergarten next year. Bass’ grandmother gave them the brand 9F that had belonged to her father. It stands for the nine fruits of the Holy Spirit as defined in the Bible, Galatians 5:22-23.